Seven Wonders is the new action-packed adventure series from Peter Lerangis (one of the creators of The 39 Clues series). You can read my review of the first book, The Colossus Rises, here on the blog. I loved it and can’t wait for the next installment. Thanks to HarperCollins New Zealand I have 2 copies of Seven Wonders: The Colossus Rises to give away. All you have to do is enter your name and email address in the form below. Competition closes Wednesday 13 March (NZ only). Thanks to everyone who entered. The winners are Jean and Lucia. “I’m often wary of using the word ‘inspiration’ to introduce my work — it sounds too much like a sun shower from the heavens, absorbed by a passive individual enjoying an especially receptive moment. While that may be the case on rare occasions, the reality is usually far more prosaic. Staring at a blank piece of paper, I can’t think of anything original. I feel utterly uninspired and unreceptive. It’s the familiar malaise of ‘artist’s block’ and in such circumstances there is only one thing to do: just start drawing.” — Shaun Tan. And when Shaun Tan starts drawing, the results are stunning. In THE BIRD KING: AN ARTIST’S NOTEBOOK, we find a window into the creative process: the stops and starts, the ideas that never took off, and the ones that grew into something much bigger. Fans of THE ARRIVAL will recognize the quirky, surreal sensibility that is so distinctly Shaun Tan in this stunning collection, and gain insight into how his many gorgeous books were made. Due to my own mistake (I thought this was a new book, but it just has a slightly different title and cover from the one I got a while ago) I have a copy of this wonderful book to give away. All you have to do to get in the draw is leave a comment telling me which Shaun Tan book is your favourite (mine is Tales from Outer Suburbia). Competition closes Thursday 14 February (NZ only). 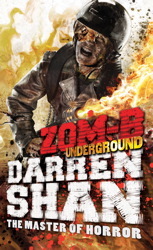 Zom-B Underground is the 2nd gore-filled Zom-B series and it takes you deeper inside Darren Shan’s zombie-infested world. If you know any Darren Shan fans, or anyone who likes zombies or horror in general, the Zom-B series is fantastic. You can read my review here on the blog (Warning: may contain spoilers). I’ve got a copy of Zom-B Underground to give away to one lucky reader. All you have to do is enter your name and email address in the form below. Entries close Wednesday 23 January (NZ only). Take some ordinary teenagers, throw in a billion-dollar biopharmaceuticals company, genetic engineering, morally corrupt scientists and some sexual tension, and you have Michael Grant and Katherine Applegate’s fantastic new book, Eve and Adam. To celebrate the release of Eve and Adam I’m giving away 2 hardback copies. Joanne Harris was one of the amazing authors who spoke at the Christchurch Writer’s Festival over the weekend. I’m a huge fan of her books, particularly her books for younger readers, Runemarks and Runelight. I have a signed copy of Runelight, the sequel to Runemarks, to give away. All you have to do to get in the draw is enter your name and email address in the form below. Competition closes Friday 7 September (NZ only). Skulduggery Pleasant creator, Derek Landy, was in NZ last week and you might have been one of the lucky people to meet him and get your books signed. For those Skulduggery Pleasant fans who didn’t get the chance to meet Derek I have a very cool prize for you. I have 2 copies of the latest Skulduggery Pleasant book, Kingdom of the Wicked, signed by Derek Landy to give away. All you have to do to get in the draw is enter your name and email address in the form below. Competition closes Wednesday 22 August (NZ only). Thanks to HarperCollins NZ I have 5 copies of Department 19: The Rising by Will Hill to give away. All you have to do to get in the draw for a copy is answer this question: What is the name of the monster who is part of Department 19? Enter your answer, your name and email address below to get in the draw. This competition has now closed. Thanks to those who entered. 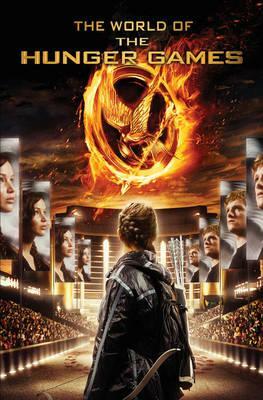 The Hunger Games movie is released in 3 weeks and I, like so many thousands of others, can’t wait to see it. Until last year, I hadn’t read any of the Hunger Games books, but finally told myself I had to sit down and read them before the movie came out. After finishing them I couldn’t believe I’d waited so long. Are you a huge Hunger Games fan who can’t wait for the movie? Are you one of those people who’ve been waiting patiently in reserve ques at the library to get a copy? Well have I got a giveaway for you! The lovely people at Scholastic New Zealand have sent me 2 copies of The Hunger Games: Collector’s Edition to give away to 2 lucky NZ readers. 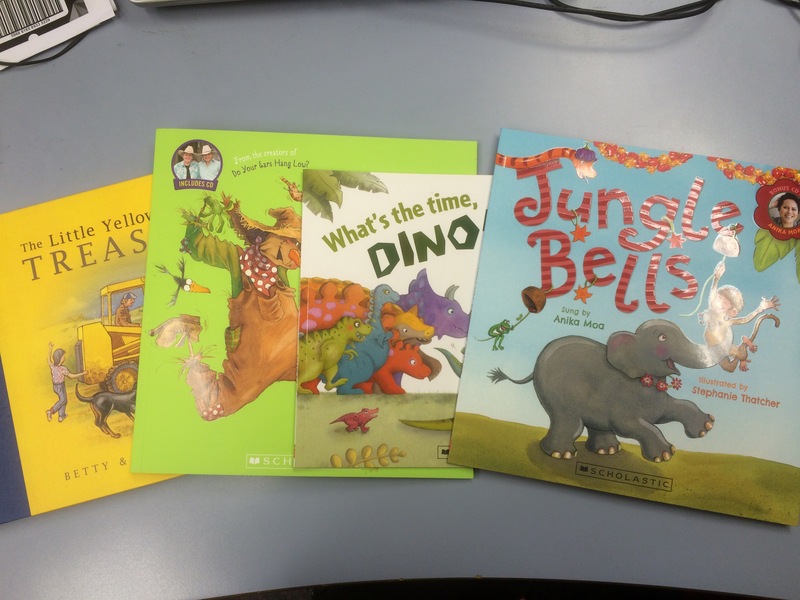 I’ll also throw in a bonus Adults Hoyts Movie Pass with each book. 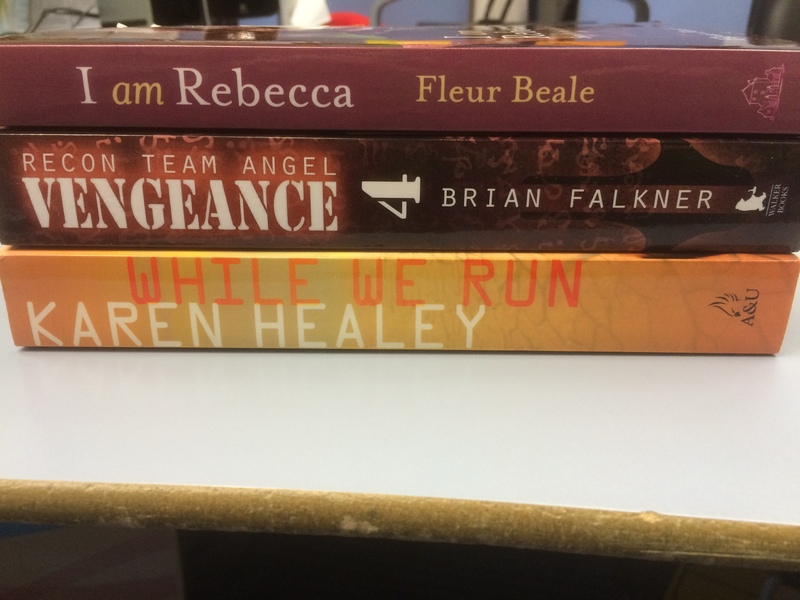 To get in the draw all you have to do leave a comment on this post with your name and email address, telling me your favourite Hunger Games read-alike (i.e. which book you’d recommend for someone who liked Hunger Games). Competition closes Thursday 8 March (NZ only).